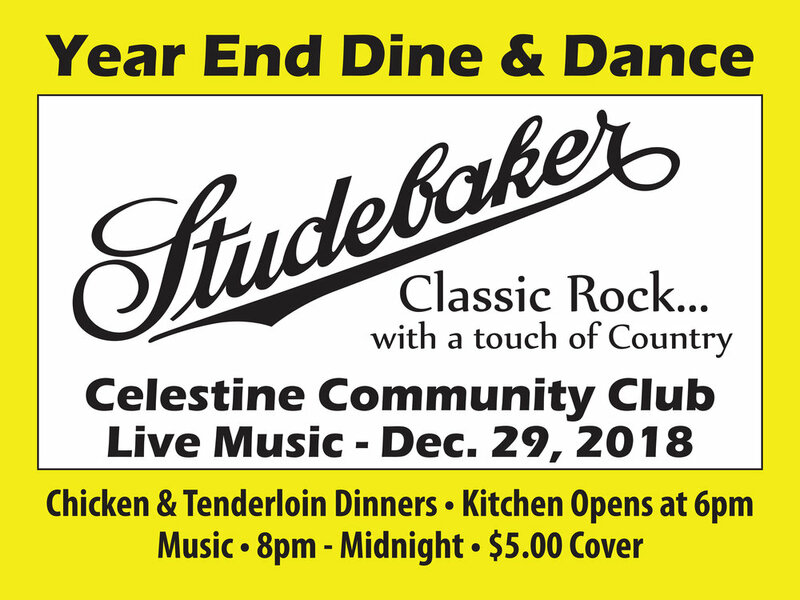 Come join us for a great night of live music, dancing and fun at the Celestine Community Club Year End Dine & Dance on Saturday December 29, 2018. Cash bar, food, and great music from the 60's, 70's and 80's... Plus a few surprises! Celestine is excited to have them after their tremendous show at the Club in April, so make plans to enjoy a great night with Studebaker! Hope to see you there and please share this with all of your family and friends. Let's pack the Club!! !